Airmen use teamwork to complete a potato sack race, one event on the obstacle course. 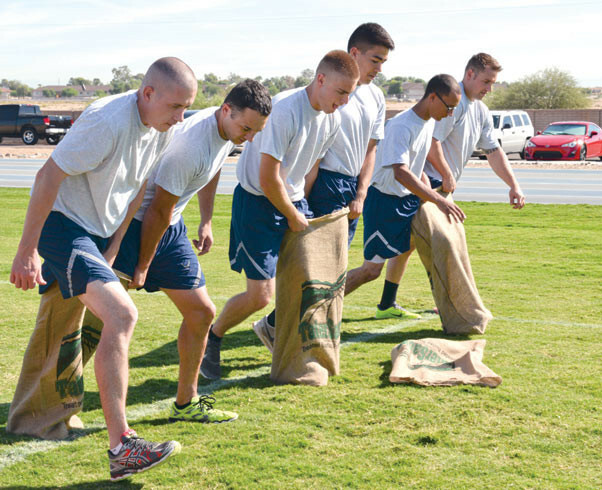 The day offered Luke Airmen across base the chance to interact and engage with one another by pitting them against each other in fun activities and competitions. On Sept. 30, Airmen across base came together to strengthen bonds and build new ones through sporting events and activities. The deeper reason for Wingman Day can be overlooked through all the fun, and it’s important to take a step back and remember why we have it. 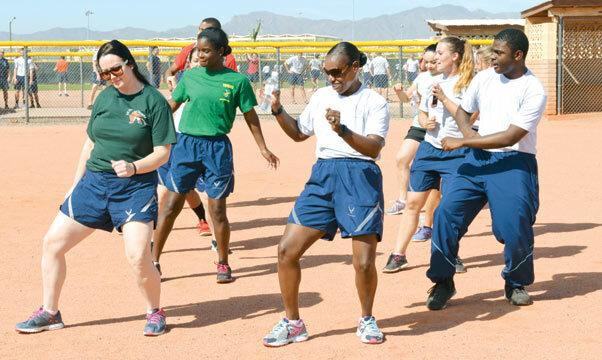 Airmen engage in an impromptu dance-off Sept. 30 during festivities on Wingman Day 2015 at Luke Air Force Base. Wingman Day 2015 included grilled food and live music. 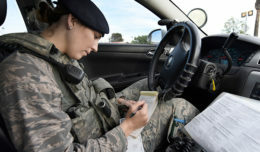 The concept of being a wingman entails mentoring and supporting Airmen. Wingman Day supports comradery and fosters better relations between Airmen. Airmen had a huge list of events to keep them busy throughout the day that included an obstacle course, tug-o-war, bubble ball, home run derby, soccer challenge, basketball, ultimate Frisbee, trash can pong, volleyball, and a corn hole tournament. There was also a picnic for all participants. 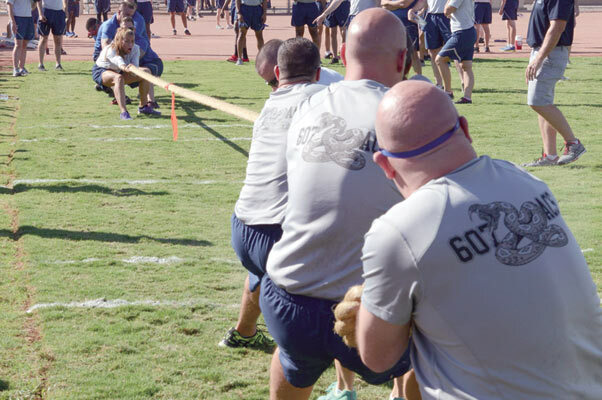 607th Air Control Squadron Airmen attempt to pull the rope from the 56th Security Forces Squadron Airmen during tug-o-war. After all the games ended, Airmen hopefully had built new and stronger relationships. Having a wingman isn’t restricted to the military. In fact, the civilian side can benefit from the wingman concept as well. 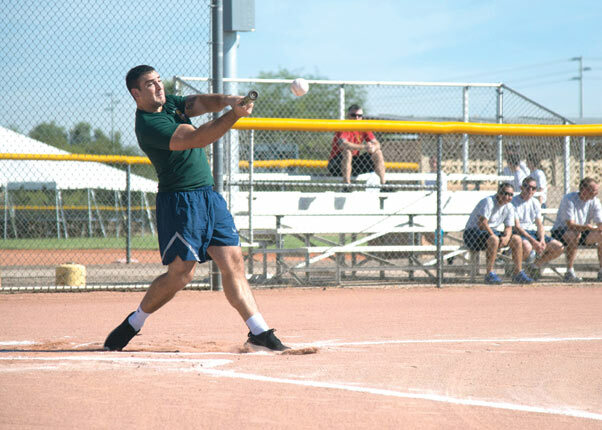 Senior Airman Benjamin Bright, 56th Dental Squadron dental assistant, hits the ball during the home run derby competition during. Luke’s Wingman Day offered Airmen a pause in the day-to-day mission to have fun with their fellow wingmen.